The iPads Have Arrived! | Mrs. Anton's Class! ← Sample of the first attempts using Story Buddy for the iPad! The iPads arrived today! They arrived by a special courier at noon today in this special cart. 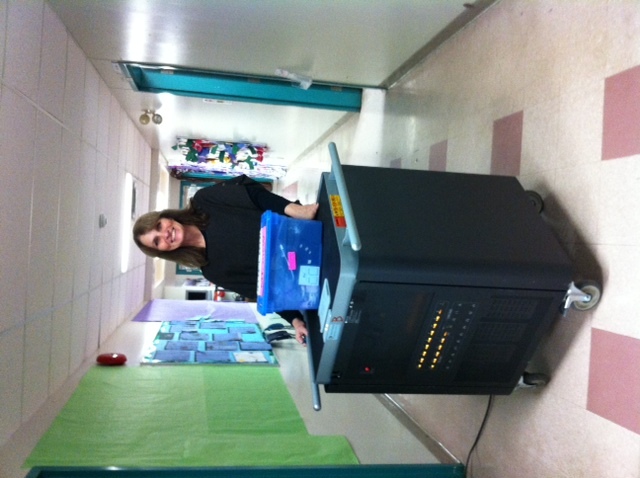 The iPads can be recharged each night in this cart so that they are ready to go in the morning. We couldn’t wait to get started! So this afternoon, the Grade One students learned how to take care of them and then got right into working with Story Buddy. In partners, the children learned how to create a book. Then they drew pictures using the paintbrush and learned how to add pages to their book. They also discovered the keyboard and wrote their names in a variety of fonts and sizes! Then it was Mr. Ball’s turn to explore. He planned to check to see that the WiFi was operational. The afternoon just flew by! !